With more than 50 years of experience, IESPM is a key player in the field of fluid analysis and diagnostic. The independence of our laboratories guarantees an impartial and confidential service at the height of your requirements. We assist you in the monitoring of your equipment with tailor-made analysis solutions adapted to your needs. We analyse all types of lubricants present in equipment. As partner of maintenance teams, we daily assist our clients in the monitoring of their equipments. More than a simple oil analysis, we propose complete, accurate and reliable diagnostics to our clients which reveal the operating conditions of their equipments. 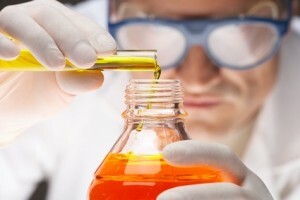 Fluid analysis is a monitoring technique indispensable to prevent mechanical malfunctions, reduce machine downtimes and control repair and maintenance costs. Flash point (open cup, closed cup), Fire point, etc. Our team is composed of laboratory technicians and field experts. Every day, they place their expertise and their know-how at your service. IESPM assists companies of various sectors of activities, such as industries, automobile, construction, transport, energy producers, sports and leisure sector, but also experts and individuals.